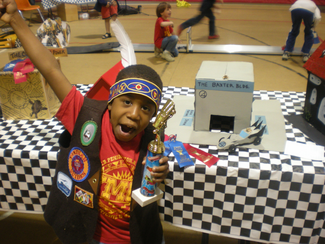 Recently my son and I participated in a pinewood derby. 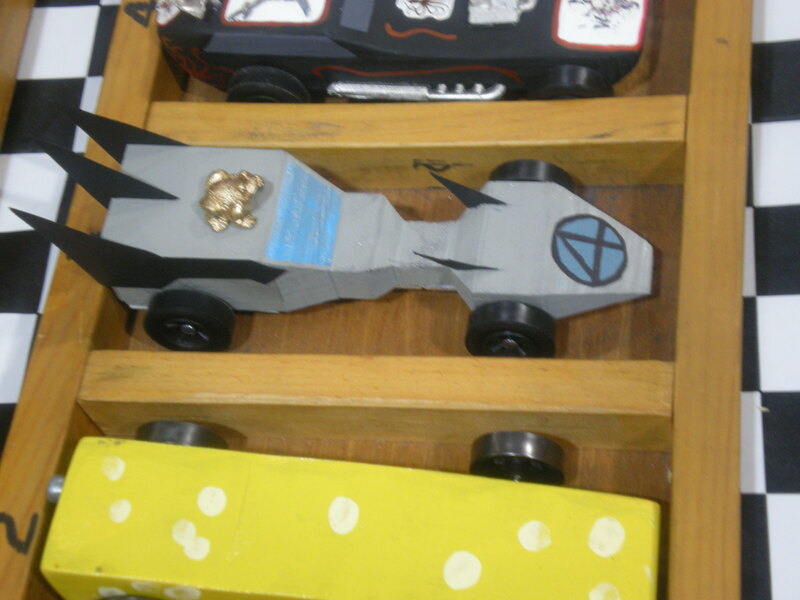 He wanted to make a “Black Panther car” (Black Panther, of course is the superhero known as T’Challa, one of the Fantastic 4 and husband of Storm). Of course, Black Panther doesn’t have a special car so we had to make one up. Hopefully Marvel will take notice. 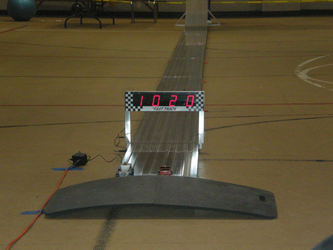 Here we have a picture of the car just after it crossed the finish line. It won a few times, but did not place overall in the meet. I was kind of disappointed, because I think it is the fastest pinewood car I’ve ever built and last year our “batman car” won 3rd place for speed. 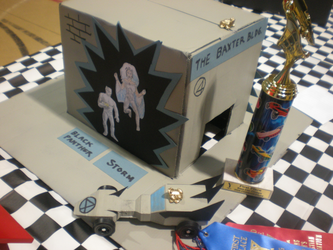 Here is our car parked next to its garage, along with it’s first place trophy for car design. This is a close up of the car just before the race. You can see the golden frog on its roof. Here is my excited little boy after he got his trophy. As you can see, he’s quite excited.